We hope your season is going well. We are planning on helping trap quail again this year from Dec to Feb to get new populations going throughout the state. Avery Cook from the UDWR is looking for quail trapping volunteers who would be able to help trap or grant access to locations along the Wasatch front (Utah Valley, Salt Lake Valley, Davis County). Avery does an amazing job coordinating the trapping and transplant efforts. The project is eligible for dedicated hunter credit. We believe there is strong potential for Valley Quail expansion in our state with this effort. We have a number of successful populations resulting from transplant efforts already. Fall is here, hopefully it will cool down soon! See information below about our first annual chukar challenge. We hope this will be a positive event that gets us together in the field for a good cause. Bird numbers appear to be spotty this year, be open to trying new areas in a variety of locations and find the pockets where the insects, cover and bird numbers aligned for good numbers. Enjoy the adventure and the memories! Be a part of our first ever UCWF chukar challenge the first Saturday of December each year, December 1, 2018 this year. Come join like-minded people for a friendly weekend at a memorable location with a bit of competition and raffles for a good cause. 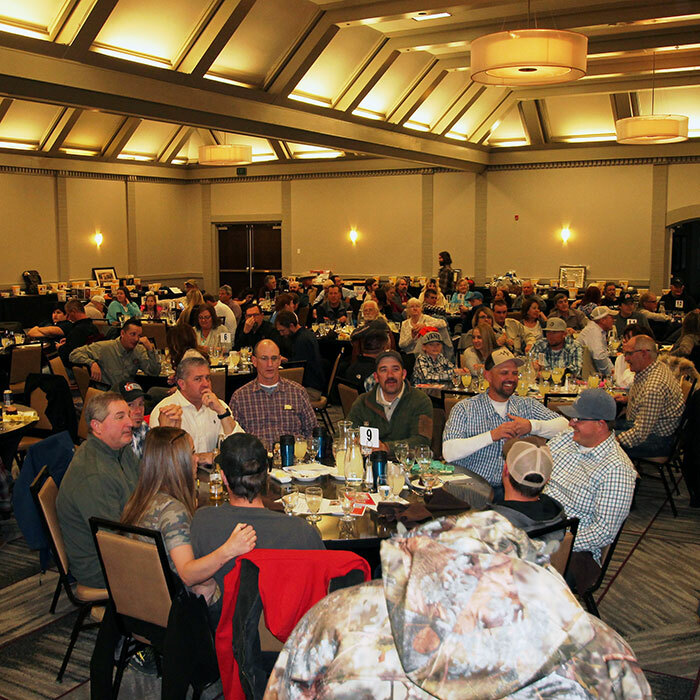 Money raised will go to the Utah Chukar and Wildlife Foundation a 501c3 charitable organization focused on improving upland game and wildlife habitat on Utah’s public lands. Two divisions: 2 person teams, or single hunter. Go to 2018 Chukar Challenge for more details and rules. Teams: $200 per team if registered before October 1, 2018: Includes breakfast and dinner on Saturday, 2 UCWF memberships, 4 participation raffle tickets (more can be earned during the hunt), and a commemorative hat for each person. Singles: $110 if registered before October 1, 2018: Includes breakfast and dinner on Saturday, 1 UCWF membership 2 participation raffle tickets (more can be earned during the hunt), and a commemorative hat for each person. $230 per team if registered after October 1, 2018 or $125 for singles. Greetings, I hope your summer is going well, fall will be here soon. Now is the time to put in for the limited entry upland permits, go to the UDWR website for more information. Join us for the annual Parker Mountain sage grouse count on July. Also, we are excited to continue participating in the youth/family Utah Youth Waterfowl Fair and Outdoor Festival on Sept. 8, at the Farmington Bay WMA (http://www.utahwaterfowlfair.com/). This is a great youth event for you to attend, or contact Alan at alan.smith@grousecreek.com if you can volunteer to help. We have more guzzler installations that will take place later this summer and fall, look for emails with dates and contact information. The eternal fall has made for an interesting hunting season. This year has been a bit tougher for most, but hopefully you’re enjoying the unusual warmth -though I’m sure there will be a price to pay-. It’s Banquet time again. We hope you will support us again at our annual banquet. Please find the banquet order form in this issue and also at our website utahchukars.org (banquet options should be up by Jan. 17). For those of you who help us each year and donate, we hope you will find yourself in a position to help again this year. Please contact Alan at alan.smith@grousecreek.com or Travis at travis.chukar@gmail.com or 801-360-6553. Remember to support our donors first and thank them for their contributions! We couldn’t do all we do without them! • Central Region Guzzler project (we are half way through installing another 17 guzzlers). • Southeastern regions guzzlers. More guzzlers were installed in the Southeast again this year. • Supporting and volunteering with two youth fairs. • Supporting a new grouse infrared Lek study. • Continuing sage grouse and other grouse data collecting projects. • Partnering with a USU forest grouse study. • Volunteering and providing input/feedback on many upland projects in the state. We are a strong voice and partner for upland game and upland sportsmen/women in the state. Your support at our annual banquet provides the necessary funding to support these upland projects on Utah’s public lands. Working as a partner with the UDWR and other agencies we make your money stretch much further than if we tried to do everything on our own. Thanks as always for your support! This year’s annual banquet will be held at the Sheraton in downtown SLC on Feb. 24. Please sign up early for the banquet to make sure you have a spot. We anticipate filling up quickly and the earlier you sign up the better the deals and the better we can plan accordingly. Sign up on the banquet page or use the flyer in your newsletter. Those who participated in the upland slam program can be rewarded at our annual banquets. Each upland slam token earned for the 2017-18 season may be presented to a board member at the banquet to receive 3 free raffle tickets per token earned. Anyone earning all 5 2017-18 tokens will also receive a free plaque to hold their tokens, contact Travis Proctor (travis.chukar@gmail.com) to get the plaque. Additionally, any person who accomplishes the entire Utah Upland Game Ultimate Slam may contact Travis Proctor (travis.chukar@gmail.com) to receive a free banquet dinner. These incentives will be offered in future years as well, so if you didn't participate this year you can always participate next year. Remember all money earned from upland slam participation goes directly toward upland game projects in Utah. It is great way to support upland game in Utah. Currently Valley quail trapping and transplanting is under way utilizing funds generated by the upland slam with matching Pittman Robertson funds.